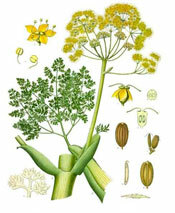 Galbanum is traditionally used to treat wounds, skin disorders and inflammation and particularly useful for slow healing skin conditions. It is also A fragrant gum used in the holy incense Exodus 30:34. In Egypt it was used for incense, embalming and cosmetics.